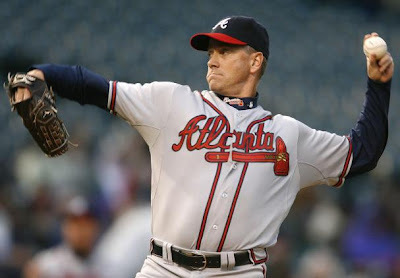 The Atlanta Braves offered veteran pitcher Tom Glavine a one year deal reportedly somewhere between $1 million and $2 million. Incentives could bring the value to around $3 million. This is still much less than the $8 million he was paid by Atlanta last year. Glavine says he is considering if this amount of money is worth coming back another year for. I don't blame the Braves for not offering him more. He'll be 43 years old before he throws a pitch in a game this year. He was injured last year. What did he expect from the Braves? He would be their fifth starter in an improving rotation, if they could count on him even for that. He had his chance last year to earn a bigger paycheck this year. It didn't happen, injuries not withstanding. He's had a Hall of Fame career, full of fame and fortune. Now is his chance to make a paycheck the old fashioned way: by earning it!